The time has come. 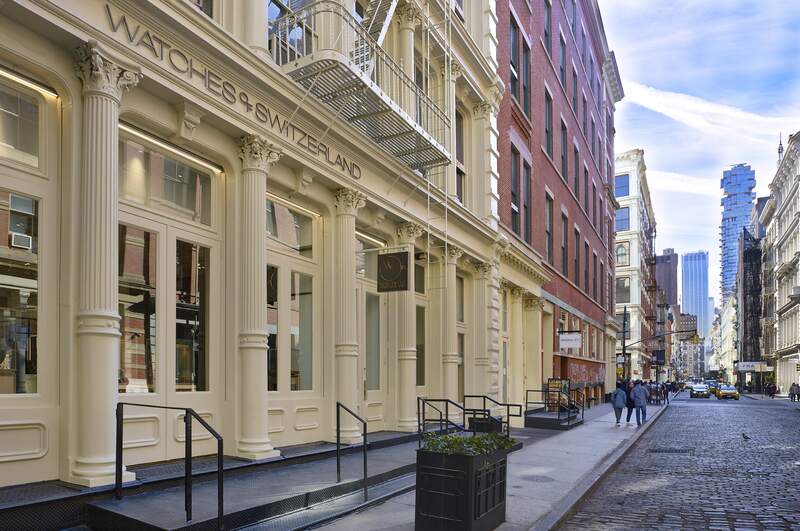 On 29th November, we opened our first Watches of Switzerland showroom in New York City at 60 Greene Street, SoHo. 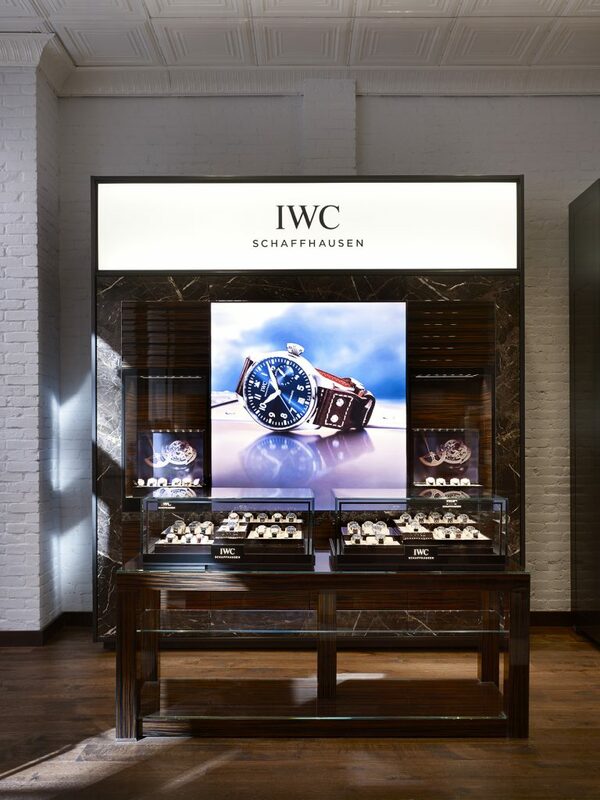 Boasting an ample 8,377sq ft of space set over two floors, our showroom is home to brands such as Rolex, Patek Philippe, OMEGA, Cartier, Breitling, IWC, Jaeger LeCoultre, Hublot, Ulysse Nardin, Girard-Perregaux, TAG Heuer, Tudor, Bremont and Longines—along with a special offering of important vintage timepieces, an in-house cocktail bar, a curated library of collectible watch books and an evolving collection of photographic artwork available for purchase. Meticulously designed to help preserve the heritage of the downtown neighbourhood, from the area’s loft apartments, wooden floors, ornate iron columns and exposed-brick walls throughout, and its lofty 8m-high ceilings maximises the natural light and create a feeling of airiness. 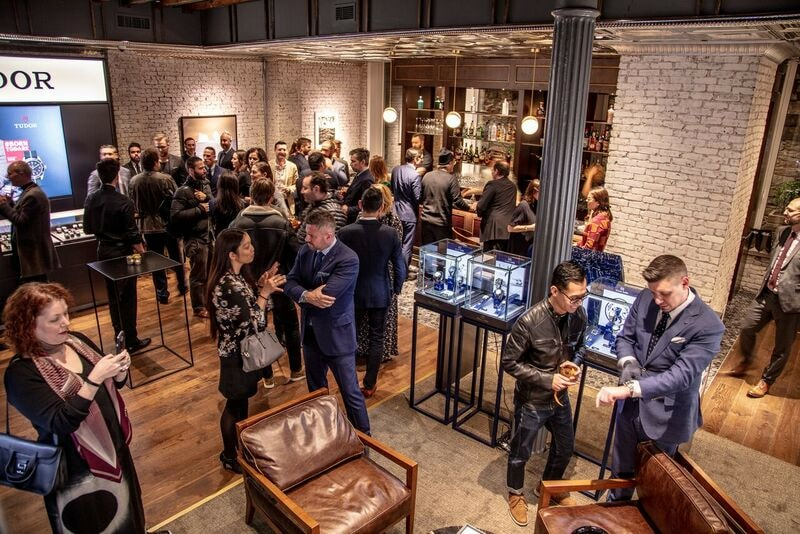 Designed by MNA, the lower level cocktail bar created in partnership with Death & Co., is one of New York City’s most influential cocktail lounges. 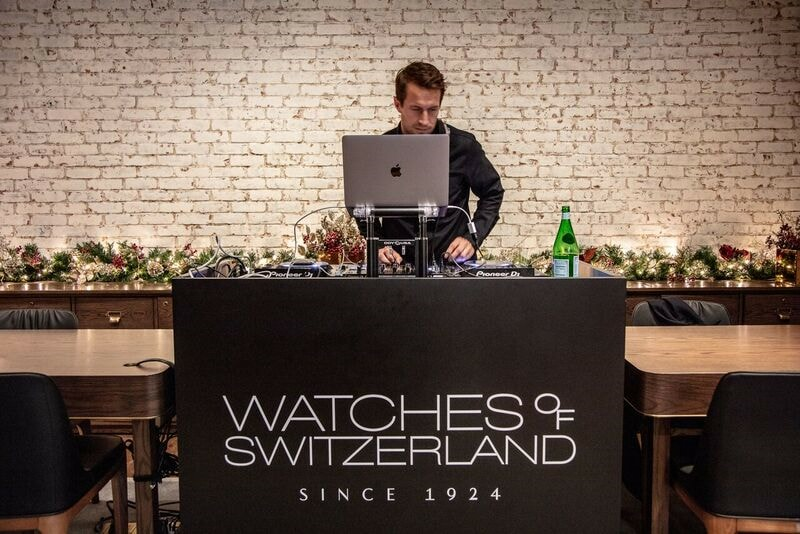 Intended as a respite for shoppers and a gathering place for enthusiasts and the local community, the WOS bar will offer artisanal cocktails crafted exclusively for Watches of Switzerland clients by Death & Co. bartenders. For the more literary-minded shopper, we have created an intimate library/bookshop, curated by Esquire Fashion Director and noted watch enthusiast, Nick Sullivan. The collection includes a range of books from biographies to anthologies to luxe coffee table favourites, covering not only timepieces, but also rare automobiles, classic yachts and other hallmarks of a well-lived life. 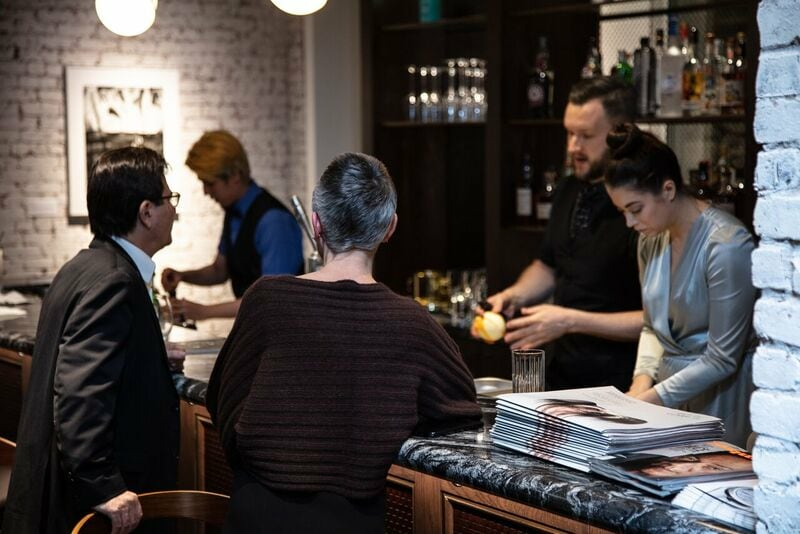 Recognizing the importance of the neighbourhood’s historic connection to art, we have also forged a partnership with the renowned non-profit arts foundation, Aperture, to curate a continually rotating exhibition of contemporary photography. The first installation of artwork will include photographs from Bill Armstrong, Michael Flomen, Eva-Fiore Kovacovsky and Richard Misrach. All photographs will be available for sale with proceeds benefitting the artists and Aperture. 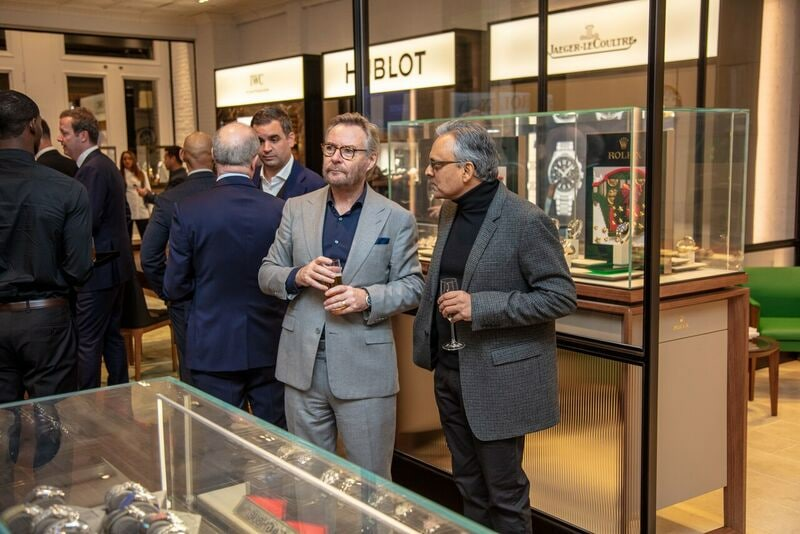 For the collector and enthusiast, we have invited one of the world’s top vintage watch dealers, Analog/Shift, to present a selection of exceptional vintage timepieces, including Rolex, Omega and TAG Heuer. 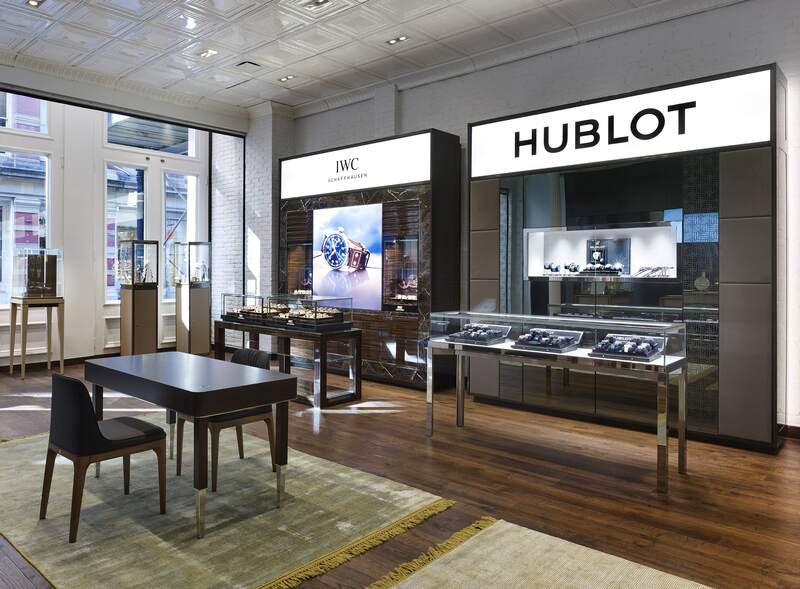 Watches of Switzerland will provide clientele with access to emerging and less established watch brands through dynamic in-store pop-ups, taking place every three to four months. 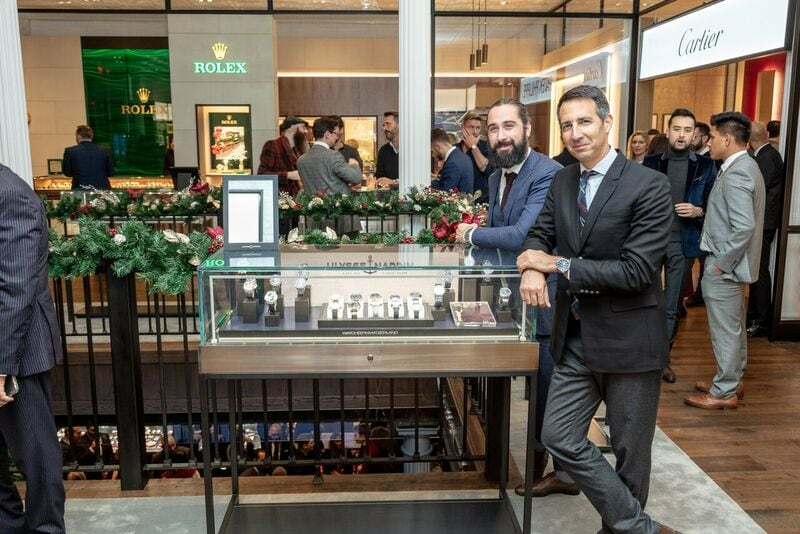 Kicking-off the pop-up program will be a partnership with Grand Seiko. 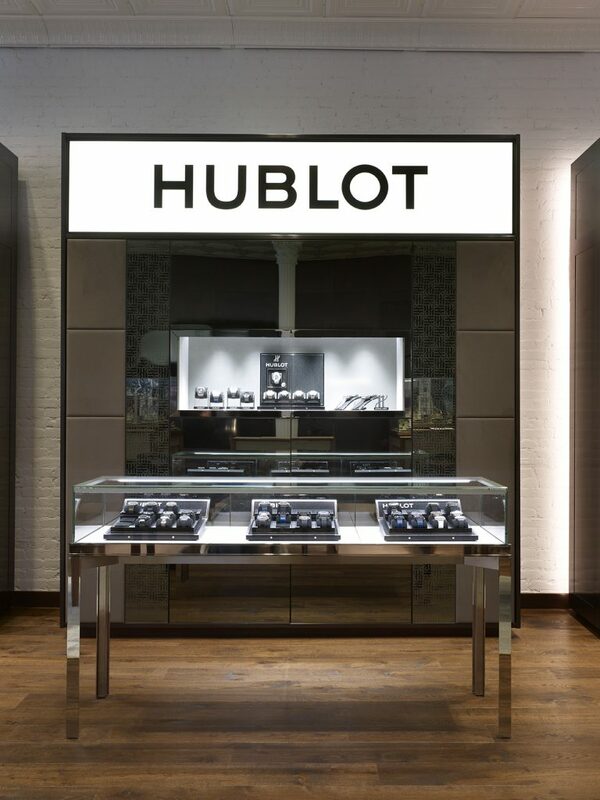 Clients of our new Greene Street boutique will also have access to a dedicated Service and Repairs department, as well as a watch strap bar featuring a wide assortment of colours and materials. A collection of specialized watch winders and storage units will also be available. 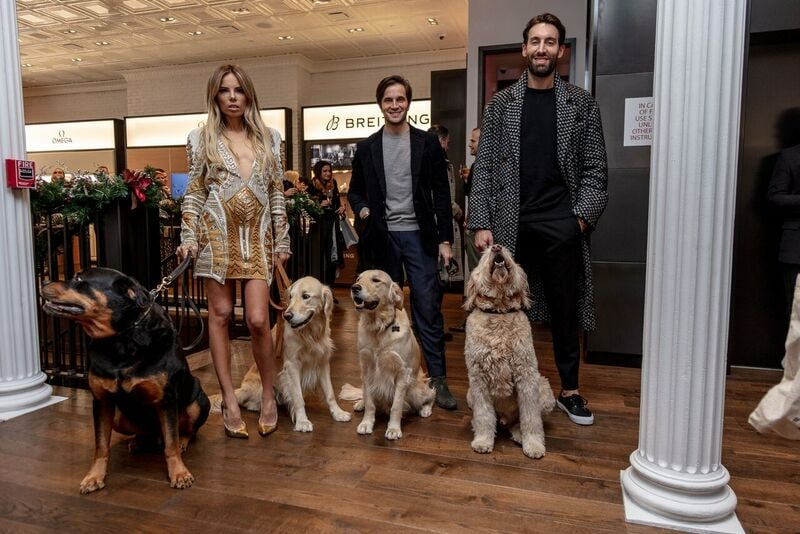 To mark the opening of our new showroom, we held an exclusive launch party, inviting some of the key influencers in the Luxury Watch Industry as well as local businesses clients, and celebrities.